You are here: Home > Products > Quotes > You’re Killing me Smalls! For all you Sandbox fans out there. Talk about a classic quote. This gem came from the movie “The Sandlot”, and has really stood the test of time. 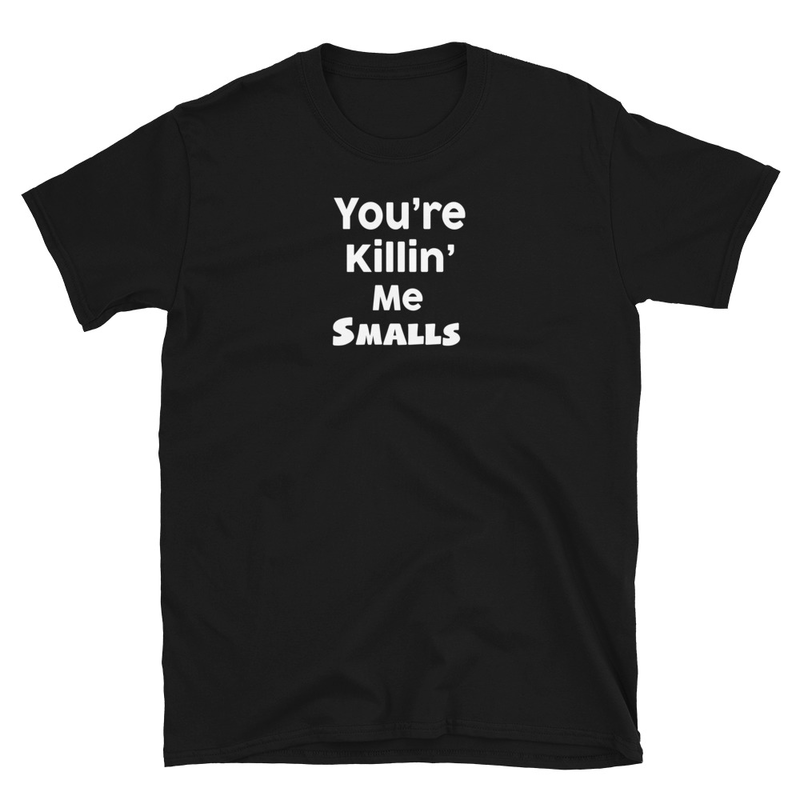 If you want to let everyone know that they are on your last nerve, just tell them “You’re killing me Smalls!” This shirt is available in all sizes (including youth, standard, men’s fitted and ladies’ fitted), and is available in navy blue. Be the first to review “You’re Killing me Smalls!” Click here to cancel reply.